These are the Service Tapes for the Army MULTICAM OCP Uniforms. 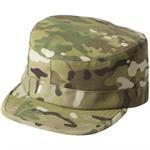 They come embroidered with black Army regulation thread and they are **offered With Velcro backing Or Without Velcro. These tapes are designated for the U.S. Army only. MULTICAM Name Tapes with or w/o Velcro backing.